Larry Drury runs Go Kids, a nonprofit that operates nine child care centers in four counties in northern California. The centers serve mostly low-income working families, some of whom are migrant workers living in Watsonville in California’s Central Coast, or immigrant families from Vietnam, Mexico or Central America living on the outskirts of metropolitan San Jose. The agency also supports licensed home care providers. As a result, Drury must manage multiple sources of funding—and the reporting that comes with it. His organization holds twelve different contracts with the State of California to provide services for these young children. The money comes under the banners of child care, pre-K, welfare to work, or services for migrant families, to name a few. The most important reason Drury and his staff do this crazy juggling act is that none of these contracts, on their own, are enough to fund what he considers true quality care for young children. The newly released Care Index from New America’s Better Life Lab and Care.com examines the trade-offs that providers and families nationally too often have to make between cost, quality and availability. The report finds that centers like the ones Drury runs typically operate on razor-thin margins. And approximately 80 percent of a child care program’s cost is devoted to payroll and related expenses. Centers in California are struggling to be able to pay qualified staff a livable wage or attract educators with the credentials and training needed to promote positive child development. Providers like Go Kids suffered from deep budget cuts during the Great Recession. And the high cost of living in California has far outpaced recent increases the state has made to the reimbursement rate for child care and pre-K. High rents for facilities compound these challenges. Drury pays teachers between $12 and $18 an hour with benefits, which he says is about average for the area. He has large recruitment challenges. Teachers “can’t live on that money out here,” he said. “They can get more money flipping burgers, and that’s an 8-hour shift and you’re done.” By contrast, Drury’s teachers are responsible for 8 prekindergarteners, curriculum development, observational notes, and regular evaluation of the children’s developmental levels. At the same time, Drury and his colleagues are looking to build the quality of their programs. There is a growing community of professionals in the state who understand the need for deeper learning experiences in early childhood centers, ones that go beyond simply providing a safe place for children to be during the day. Research shows that the benefits of high-quality early care and education far outweigh the costs. That leaves people like Drury scrambling to find and combine as many sources of funding as possible, not an easy feat. Saint Vincent’s Day Home has operated in Oakland for over 100 years. The center uses funding from the California State Preschool Program as a base, which pays for staff, facility and hours of instruction. But the center also uses Head Start dollars to enhance the quality of the services it provides for Head Start eligible children during that time, for example, vision screening, mental health services and other family supports. The center also raises private funds to be able to meet their budget, according to Interim Executive Director Kate Shaheed. Another program may use Head Start dollars as the base to fund a three-hour morning program and then uses state money to extend the day and fund services for children in the afternoon hours. Educare California at Silicon Valley combines federal, state, and local public funding, as well as significant philanthropic and local business investment. Others are experimenting with newer models. 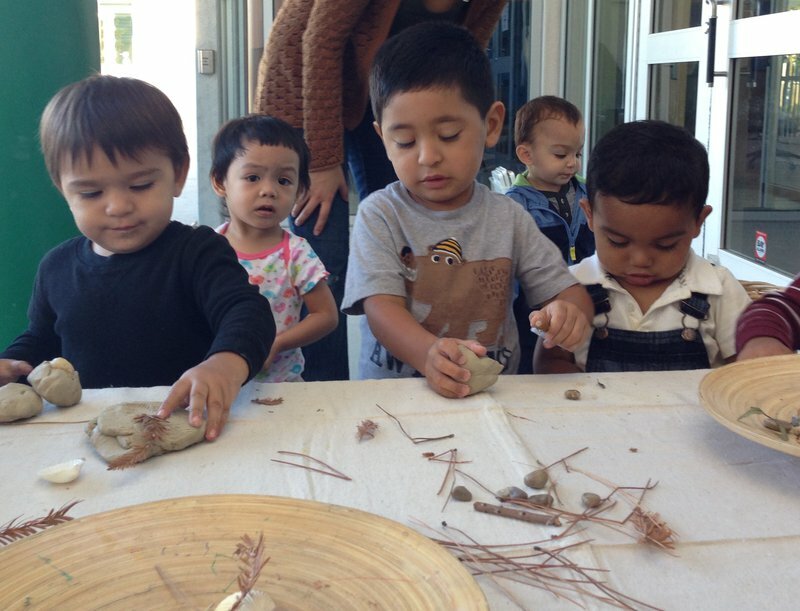 Alameda County joins San Francisco and San Mateo counties in a new pilot program this year that aims to allow the county to develop its own plan for more effective and efficient use of the state early care and education dollars. The pilot is raising the reimbursement rate to providers and the income eligibility floor for parents. With the rise in the minimum wage, more families are now earning too much to qualify, but are still not able to pay for quality care on their own. Educare has also developed a model for funding and programming that enables the center to run high-quality programs and pay teacher salaries that are on par with the local school district, something that Executive Director Lisa Kaufman says makes a real difference. This level of service is not something that should be a luxury, say advocates, but something that makes sense as a sound investment for every child in this state.